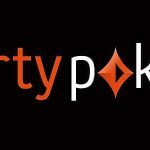 Party Poker Software Changes to "Level the Playing Field"
Over the next few weeks, Party Poker will be implementing several software changes intended to edge out professional players and “Level the Playing Field”. There are two schools of thought about whether third party poker software is a good or a bad thing. Many industry experts claim that third party poker software is bad for the game as it allows professional players to have an advantage over recreational players – thus accelerating the demise of the poker ecology. 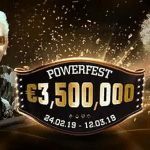 Professional players claim that without third party software, their win rates would decrease and it would not be worth their while to continue playing online poker – thus depriving poker sites of the income they need to maintain promotions and bonuses to attract new players. It is a tough issue to resolve and a debate that has be running for years. What Sort of Software are We Talking About? The two biggest issues concern poker tracking software and seating script software. Poker tracking software records other players´ betting actions, so that the professional player can see exactly how often their opponents use specific betting actions in specific circumstances. With that knowledge, the professional player can make more informed decisions about their own betting actions. Seating script software is more sinister. The software scans cash games for weak players joining a game, and then seats the professional player immediately to their left – giving them position on the weak player. Usually it takes several losing sessions before the weak player realises what is going on, by which time he or she is discouraged from investing more funds into the poker site. Plenty. Back in 2011 Bodog Poker launched its Recreational Poker Model which featured anonymous cash games. Although scoffed at for such a crazy idea, the Bodog/Bovada Network is now the second most popular poker network in the world. Other sites have toyed around with anonymous tables since, but only with limited success. More recently, some poker sites have made changes to their products to eliminate the use of third party poker software – most famously Full Tilt; who in July made the decision to make software and script-dependent players unwelcome with sweeping changes to its software that removed heads-up games and table selection capabilities. 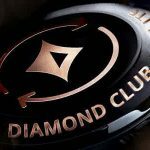 Players wanting to join a cash game will have to enter the type of game they want to play and the stake limit. When a seat becomes available, they will automatically be taken to that table. When joining a cash game, players will not be able to see the names of the other players seated at the table until their first hand is dealt. Players will only be able to view the last twelve months of their own hand histories, with no option to download them and save them to a local device. As part of our Poker for the People campaign, the Party Poker team is committed to providing all poker players, regardless of experience or skill levels, with trusted poker products that are fair, ethical and fun. We will continue working with the wider poker community on developing a mutually beneficial, trusting relationship. Will the Changes be Successful? 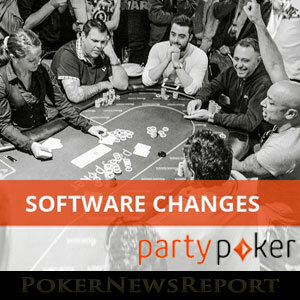 The long-term success of Party Poker´s software changes are difficult to forecast. Certainly the recreational poker model worked for Bodog/Bovada, but cash game traffic at Full Tilt has significantly declined since July. One thing is certain though. New players joining Party Poker now will find that their bankrolls last longer, that Party Poker’s welcome bonus is more attainable, and that their playing experience at Party Poker is more enjoyable. 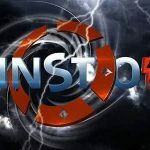 We at PokerNewsReport.com believe that maintaining the poker ecology is vital for the future of the game, and commend Party Poker for making these brave changes. We hope that the software changes do prove to be successful and that the site benefits from an increased number of new players.